Here's a super fun, ridiculously easy and healthy party food!! I even to keep on hand for a quick snack and put in mason jars to give as gifts. - Combine and store in refrigerator. 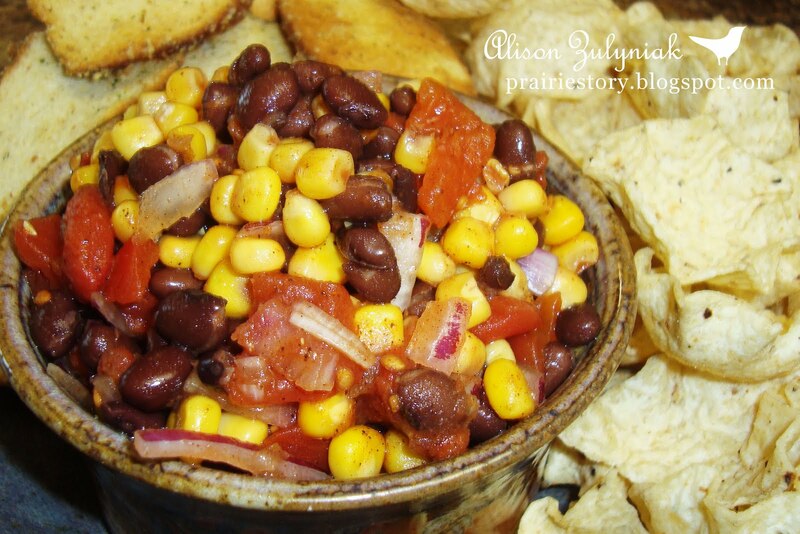 - Serve with tortilla chips or garlic toasts. Love the colors and it looks really good too! I started laughing when I read your message on foodbuzz.. we sang that song at karaoke this past weekend! This salsa looks fantaastic! Yum! There's nothing better than homemade salsa. I'd love to get a mason jar full of this! I love the twist with beans and corn. Thanks for sharing the recipe.